Home News Close to Home exhibition showcases local artists in Limavady. Opening on Saturday 8th December, the ‘Close to Home’ exhibition includes over 100 artworks, craft and mixed media pieces. 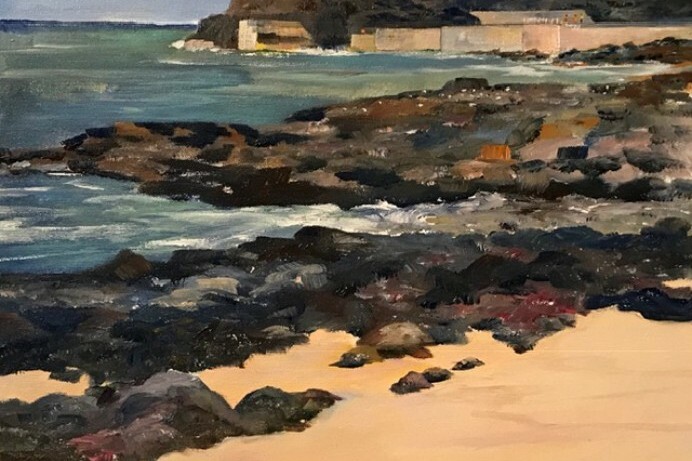 Just in time for Christmas, visitors will have the opportunity to purchase unique paintings by artists including Harry McMahon, Sara Cunningham-Bell, Sarah Carrington and Tom Mc Neill. Jewellery will be on display by makers such as Sandra Mc Carter and Robert Spotten alongside ceramics by artists Jennifer Young, Alan McCluney and Sharon Regan. Visitors will also be able to purchase glassworks by Keith Sheppard and Andrea Spencer, willow sculptures by Louise McLean and textile art by Louisa Kelly and Brigitte le Boulleur. The Puffin Artists Group CIC has been set up to promote both emerging and established artists and this is their first exhibition outside The Puffin Gallery in Ballycastle where the group is based. The ‘Close to Home’ exhibition will be open until Friday 25th January. For more information, please visit roevalleyarts.com or call Roe Valley Arts Centre on 028 7776 0650.